In this installment of Stringbags we present a couple'a photos from May of 1918 which show a Halberstadt CL.II of Royal Bavarian Schlachtstaffel 27b just prior to a sortie during the Ludendorff Offensive. In the first photo an armorer is seen loading potato mashers into a rack for use by the observer. Affixed to the spine of the kite, just behind the cockpit, is an assortment of flare cartridges. 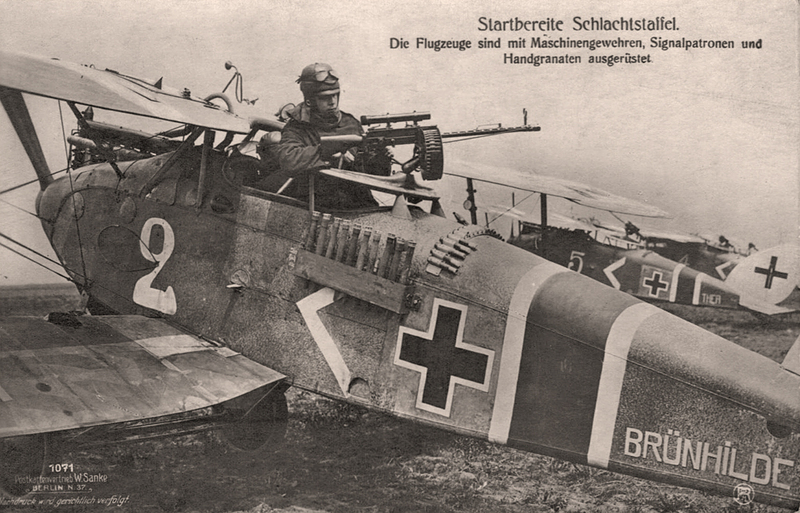 "Schlachststaffel Ready for Takeoff - The aircraft are equipped with machine guns, signal cartridges, and hand grenades." In the background is another Halberstadt, #5, named 'Thea'. This machine was captured by New Zealand forces after being forced down near Bapaume in late August of 1918. We have no information to share about this incident... except maybe that the driver of this Camel has undoubtedly seen much better days. 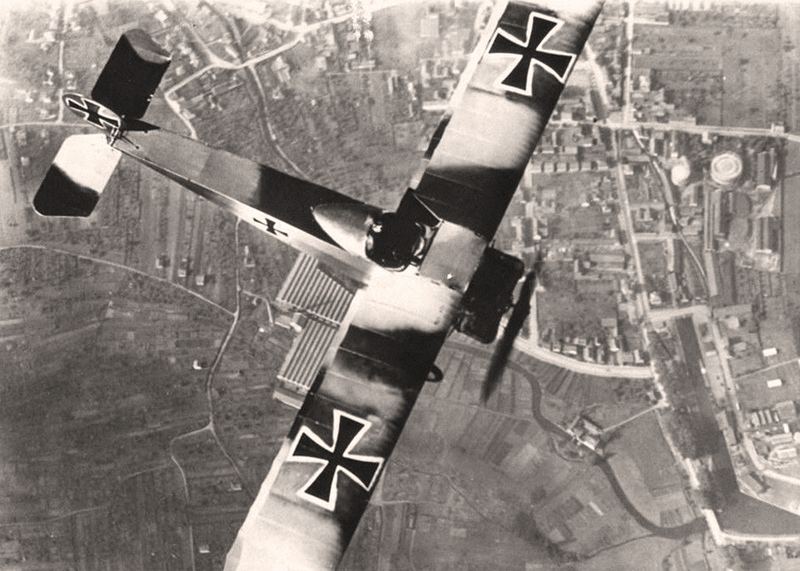 Today we bring you a groovy air-to-air photo of one Leutnant Otto Kissenberth of FFA 9b (FFA = Feld-Flieger Abteilung) cruising over Colmar in his Fokker D.II, circa 1915. 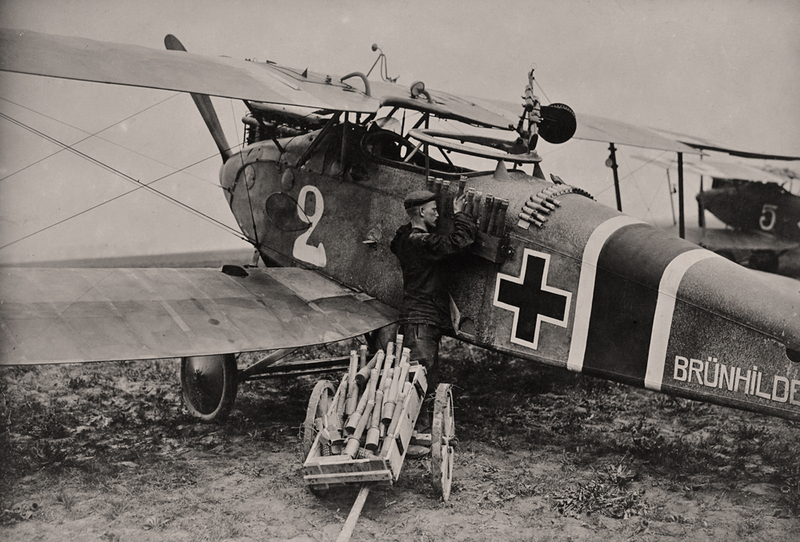 Kissenberth went on to command Jasta 23 and score a total of twenty victories, the last of which was gained on May 20th, 1918 while flying a captured Sopwith Camel! Nine days later he was severely injured in a crash of this same Camel and his combat career came to an end. Kissenberth, an avid mountain-climber, (evidenced by the 'Edelweiss' emblem that normally adorned his personal aircraft) died in August of 1919 after a fall while indulging in his favorite pastime. 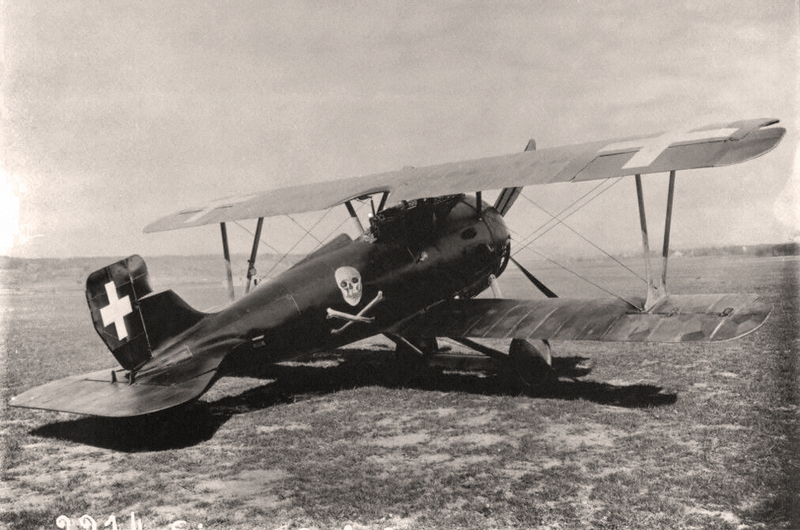 In this installment of 'Stringbags' we present a photo showing a Siemens-Shuckert D.III in Swiss markings and adorned with a Totenkopf (skull and crossbones or, more literally, 'death's head') motif. 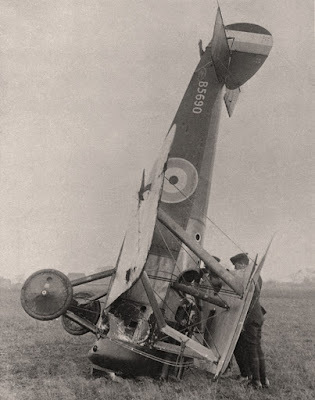 Your blogmeister has done only minimal digging on this one, but it seems that this particular bird, along with a few others, was deliberately flown to Switzerland in November of 1918, possibly by a German pilot named Lange of Kest 5, in order to prevent the machine from falling into the hands of Allied forces.